Integrate the call center, chat, e-mail and social media screens in a single one and detect issues at every touchpoint! Offer self-serve through your website and solve issues with the learning engine and knowledge base with EasyConnect CSM module integrated with Genesys PureCloud, using representative commands. Detect the customers in every communication channel. 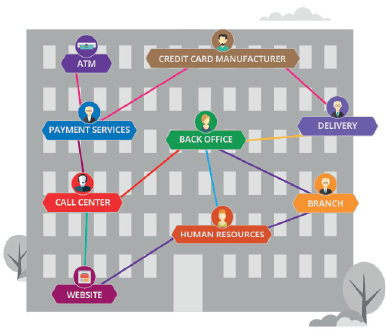 Manage all touchpoints with EasyConnect CSM as if they are one. All communication channels are integrated on EasyConnect CSM. EasyConnect CSM provides stored information as well as customer communication history to the customer representatives when they reply a call. Have interchannel communication to keep your customers satisfied. An experience pool for your customers and employees. It’s also a learning machine that offers suggestions to your customers and employees as they are still writing. Therefore, your customers can solve their own issue or it can increase the chance for your employees to solve it during the first touch. Create and categorize unlimited call center commands. Direct your call center representatives automatically depending on customer response. Provide the best issue solving experience and ensure that your representatives speak precisely the way you want. Live chat on business level supported with the learning machine and advanced knowledge base. Customizable interface and reusable templates ensure flexibility. Put them on your website, or host it locally and use it as intercorporate easily. Integrates with your old systems when necessary. All in one window. Listen to those talking about you, follow tags and key words or plan your own searches to detect customer issues. Run similarity analysis and start the related workflow automatically. Ensuring that your customers receive information is essential for customer satisfaction. Send SMS and e-mail notifications automatically to inform your customers, personnel and shareholders. Create templates to keep it professional. Keeping contacts in a chronological order includes all the e-mails sent by both parties and makes it easier to follow. Don’t wait for receiving complaints, get feedback from customers through many channels with an easy-to-use survey. Keep the answers on the customer sheet, categorize them accordingly and execute batch processing. Send your outgoing communications, post-contact surveys by SMS or e-mail automatically. Without coding or technical support, design, test and perform business processes on a single platform. Integrate your processes to your systems. Unique digital conversion and process-driven customer services for a better customer journey. Design the necessary processes to deal with customer complaints, meet their demands or manage any business issue. If you can configure the processes, you can design the interfaces and workflows on your own by using EasyConnect CSM’s easy-to-use interface. No coding, no technical support, no seller consulting. Different workflows and forms are necessary to solve different issues. 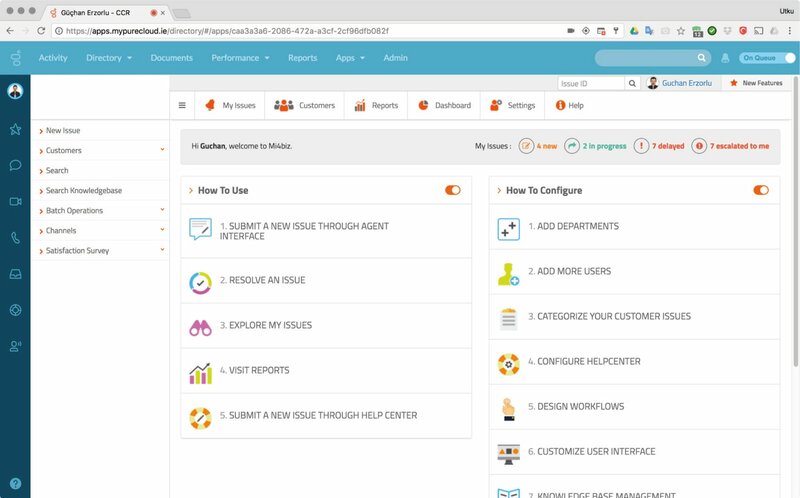 EasyConnect CSM enables you to link previously defined processes with issue categories and business rules. For that reason, whenever an issue is transmitted, the related workflows are initiated automatically. You can initiate actions when an event occurs or a condition matches. You can use the related channel, category, process state, customer or issue data when setting the rule or action. For example, when a very important customer complains, you may set a rule to notify the senior management. Design a process, assign a speaker, set the latest dates and save it. Pin the rights and requirements and reduce corrupt behaviour. The agreed service performance criteria, service, and finding support in a distributed media. EasyConnect CSM functions on a cloud but ensures to strongly integrate with your local systems through secure API’s certified on the developer’s website. Place your old application as iframe (or vice versa). Read and write your oldy databases, smoothly trigger the actions. Analyze customer issues, watch customer service performances, follow product and service quality. Find out the root causes, determine opportunities for corrective and preventive actions. 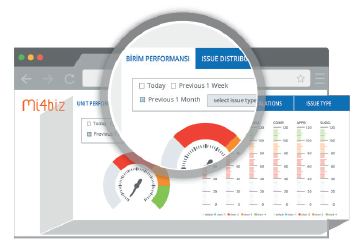 Increase traceability with improved transparency as your employees take the responsibility of their performances. You’ll always want more from your reports. EasyConnect CSM offers you the necessary tools to design your own reports. Or you can integrate EasyConnect CSM to your own reporting platform. EasyConnect CSM reports are submitted as table. You can change the format and the order, or add new charts and spreadsheets. If you prefer to, you can get your reports in this format the next time.